Here is news so amazing that nobody seemed to pick it up when it was announced over a week ago! 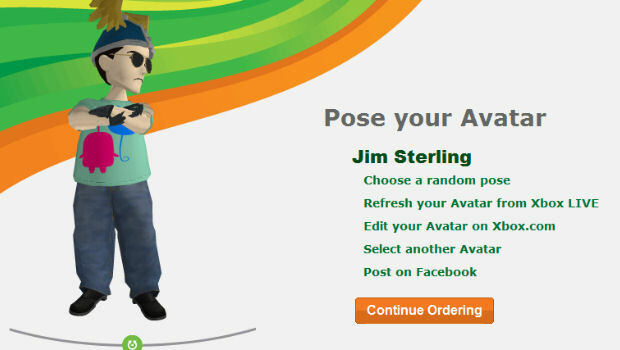 Figureprints is teaming up with Microsoft to create real-life statues of Xbox Live Avatars. That's right, your Halo-helmeted gimp in a 'Splosion Man shirt can be on your shelf, right next to the hundreds of unused condoms! Figureprints boasts that it uses advanced 3D modeling techniques "pioneered by special effects houses" in order to create even the most complex Avatar. The only limitation thus far is the use of particular name-brand products, though game-related clothing seems to be intact. The things start at $49.95, which might be a little steep. Mind you, if you're buying one of these, you're likely the kind of person who's already bought loads of clothing items for their Avatar, so it's not like you respect money in the first place.